If you would be interested in running against one of these fineindividuals, please drop a note to faigin@cahighways.org. The Sisterhood Shabbat is on Friday, May 12. Just as Sisterhood helpedus out with our Shabbat, we help them with theres. Sisterhood has requestedMoTAS to help with setup and cleanup for that evening’s Oneg. 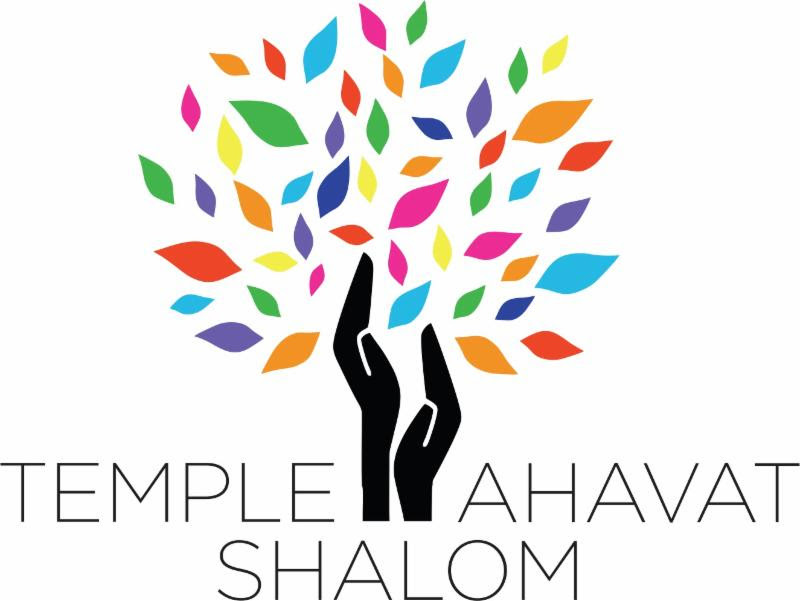 If you will beable to help, please contact Roger atroger_j_lowe@sbcglobal.net.Note that there is also a community shabbat dinner that night — you can buy adinner or bring your own.Click here for more information. In 2012, ignoring the objections of our accountant, the Menof TAS eliminated the dues requirement for membership. We moved to an inclusivemodel where every man in TAS is part of the Men of Temple Ahavat Shalom. Sincewe don’t have dues, we don’t have steady revenue. So, every year Menof TAS asks you to support our work financially. It is through your annualcontribution that we are able to make our annual contribution to the Temple’sgeneral fund, to support our breakfasts, and to fund our variousactivities. By now, youshould have received your appeal reminder in the mail. We urge you to respondand help our great organization continue to support TAS and the member ofMoTAS. You can also find the message on our support page athttp://support.tasnorthridge-motas.org/.On that page, you can find a printable donation form that you can mail in, aswell as a link to contribute online. See your friends and fellow congregants that have reallystepped up to support us on our website’s Wall of Honor athttp://wallofhonor.tasnorthridge-motas.org/.Join the Wall of Honor yourself by donating 100 or more shekels (dollars). Yourgenerous gift will provide fun events for all Temple members, kids to adults,teachers and staff. Continue to repair and improve our facilities. Mostimportantly, it will help us continue teaching and living the Jewish valuesthat guide and enrich all our lives. Our May “Dining Does Good” will be Monday, May 22 at Las Hadasin Northridge in support of MoTAS and the Confirmation Class/L’Taken.You can find a flyer for the event athttps://wp.tasnorthridge-motas.org/activities/dining/.We really encourage you to come and support these events: we raise a littleextra funds for various groups, but more importantly, we come together andbreak bread as a Temple family on a regular basis. It is a real joy to walkinto a neighborhood restaurant and see your Temple friends, to sit down andshare a table and talk. This is the heart and goal of MoTAS: BuildingRelationships. Volunteers are need to paint the metal gates located at TAS Northridge.They are currently painted all back. We need to touch up some rusted spots.Additionally we will be painting the Hebrew letter on the gates gold. Thesewere the gates that were formerly mounted on the wall at the entrance. Allmaterial costs will be covered by Men of TAS. If you are available to help,please contact Frank at president@tasnorthridge-motas.org. Frank Soronow had a meeting with David Katz, Executive Director, Hillel818. Hillel 818 serves the campuses at California State University, Northridge,Pierce College & Los Angeles Valley College. The number one need of hisstudents is getting a job. MoTAS and TAS Northridge can provide significantvalue by helping our next generation prepare resumes, practice interviewing,find opportunities, and close the deal. Imagine the positive feeling we could create. We would be to meetcandidates at Shabbat services. Together we sing, pray and get our candidate onthe road to employment. Talk with the students and parents you know. Let them know we arelooking for candidates to help. Have the students email Frank atpresident@tasnorthridge-motas.orgto set up a phone call and time to meet. Signups are now open for first Shabbabeque of the summer on Friday, June16th. Shabbabaque starts with an outdoor service in the TAS amphitheatre at6:15pm, featuring music from our rockin’ TAS House Band. This is followedat 7:15pm by a delicious barbeque dinner. Meat items will include turkeyburgers, sirloin burgers, and Hebrew National hot dogs. Vegetarian items willinclude veggie patties, green and yellow squash roasted with garlic, and bakedpotatoes. Afterwards, there will be a wonderful Sisterhood oneg. The full menuis on the Shabbabaque eventpage. Our goal is for everyone to be happy. If you have special dietaryneeds, please contact us at the email address below. Online Registrations:Clickhere or visit http://shab-bbq.tasnorthridge-motas.org/to register. You may pay by credit card, or mail your check in advance or bringit to the event. Telephone Registrations. You may register bycalling the MoTAS Voicemail at (641) 715-3900 Ext. 430235#, the Temple Officeat (818) 360-2258, or emailingshab-bbq@tasnorthridge-motas.org.Note that registrations received after Weds6/14 at 6PM are an additional $5. Pre-reservation for this event is strongly encouraged; anextremely-limited number of tickets are available at the door. To volunteer to help at the event, visithttps://motascybermaven.eventbee.com/event?eid=174358872.